So if you’re interested in Strength Training for Musicians, or any variation thereof, hop over to my website and read my articles there. I’d LOVE to hear your comments! You can also read some of my articles at Innovative Ideas in Performance and Pedagogy and Flute Focus. Thanks for reading and I’ll see you at Music Strong.com! It’s been a good blogging year! Apparently, I’ve had some good blog posts you found interesting, I’d love to hear more feedback from you and find out what you would like to read about from me. How can I help you? I’ll be interested to read your comments below. By the way, if you wonder why I don’t update this blog very much it is because this blog is now my personal blog and I do MUCH more article writing on my website: http://www.MusicStrong.com So, if you’re looking for more articles from me (and I’ve had several new subscribers in the past few months, thanks!) please head over to my website http://www.MusicStrong.com and see my blog posts there, because I really don’t update this one very much anymore. When I do, it will be more about my personal life and thoughts about things. 600 people reached the top of Mt. Everest in 2012. This blog got about 12,000 views in 2012. If every person who reached the top of Mt. Everest viewed this blog, it would have taken 20 years to get that many views. 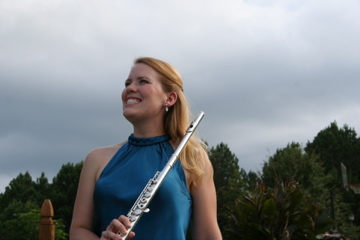 Flute Day is November 3, 2012 and will be held at Altus Flutes in Mt. Juliet, TN. They will have Altus, Azumi and Jupiter flutes, piccolos, altos and basses available to play and try. This Flute Day is really focused on middle schoolers and high schoolers, and what’s important to them, though anyone is invited to come. I am very blessed to have Dr. Roger Martin from Tennessee Technological University (my alma mater! ), Dr. Deanna Little from Middle Tennessee State University and Dr. Jessica Dunnavant from Belmont University and the Music City Baroque coming to share their wisdom and knowledge. Cost for the day is $25 if you pre-register, $30 if you register on-site, so avoid the lines and the extra money and register early! Love to hear your thoughts and comments and hope to see you there – help us get the word out! Having just moved to a new area, I now have a studio of about 24 students and growing – come from an area where getting students was like pulling teeth, being inundated with this many students is not only wonderful but can also be a little overwhelming with trying to keep track of all the finances. To any other music teacher who understands the frustration and confusion of having a large studio (or heck, of having a studio period) keeping track of student’s information, their payment status, who owes what when, who’s working on what, what school is out for fall or spring break at what time, etc. can be exhausting work. 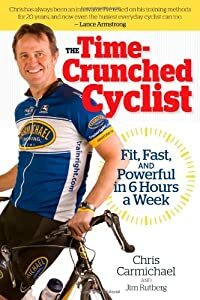 Ok before you get excited, no I haven’t completed a century ride yet, but I AM training for one. Like I have talked about so many times, one must have goals, and since my love for my bike and riding has only grown, I needed a goal. I have come close to 50 miles, but that isn’t enough, I wanted a BHAG – or what Jim Collins calls in “Good to Great” A Big Hairy Audacious Goal. For me, that is to ride a century, or 100 miles in a day. The challenge that faces me here is that I’m a sprinter. I’m good at tennis, short distances, weight lifting, all that. I do short bursts of things. That’s why running the Army 2 miles is such a challenge for me and why getting over the 50 mile hump on the bike is challenging. My genetics are geared towards sprinting. It doesn’t mean that I am limited by them though, and so I have chosen to educate myself. Figure out what doesn’t work for you. You get the idea. When it comes to long distance cycling, if you are trying to lose weight, create your deficit off the bike and make sure you fuel for your rides. 2. Get the right equipment! make sure you get a proper bike fit. yes, you need winter bike clothes because your toes will fall off from cold! Did you wear sunblock? YOU NEED IT. Get flat equipment. You WILL get a flat. So get a bag to put on the back of the bike, get a spare and C02 and yes, learn how to fix a flat before you go out on the road. I could go on and on, but it’s amazing what you don’t know when you first start out. what I’ve found out is that I need more intervals, of different kinds, single leg work and even negative splits. Stuff I didn’t know existsed. So, if you want to ride a century, get educated and get a plan and then follow it! I’m hoping to chronicle some of my training/diet info as I go, so I can keep you updated on my progress. If you’ve completed a century or have tips, feel free to post below! As the phrase goes “you can’t swing a dead cat” without hitting the word “tone” in today’s media. Get toned in 5 minutes a day! He replied in a friendly tone. They spoke in hushed tones. Don’t use that rude tone of voice with me. The speech had religious tones to it. The author’s tone shows her attitude toward the subject. The professor’s condescending tone irritated some students. But that still takes things out of context. And it bothers me. The misuse of grammar isn’t what bothers me most though, it’s the connotation that is being given to the word as to what is an acceptable body image to women. If I didn’t have a clear vision in my mind of what I wanted to look like, if I was your average woman who just wanted to lose weight, be smaller, have some shape for crying out loud that didn’t demand Spanx to create and a body she felt happy and comfortable with….I would be so confused just looking at the magazines in the checkout aisle. Whatever body shape you want is up to you, not me and who am I to say that what you want isn’t acceptable? However, what I DO have a problem with is the false advertising that gets women to believe that they can “tone in 5 minutes a day” or find weight loss in a pill, the Shake Weight or any of the crap Jillian Anderson does. I’m sorry, but it’s not as simple as a pill. It IS as simple as enforcing self-discipline and doing what your common sense tells you to do. Getting shape to the degree you want might require the use of a structured training program and a personal trainer, but for the most part, you know what to do, you just want an easy way out, a pill that means you don’t have to do the work. You want the body? You have to do the work. And it will take a heck of a lot more than 5 minutes a day. You think even 20 minutes a day will offset the other 23+ hours in the day? I’m sorry, but if so, those are delusions my dear. or even this: Jamie Eason (the 2nd picture) obviously has more muscle “tone” (a state of the muscle) than the first woman, but I can tell you this: Jamie Eason sure didn’t get her shape by using a Shake Weight, or anything that just came out of a bottle. No, you want to look like Jamie? You need to say no to the daily calorie splurges and binges. You need to eat for the body you want. Are you soft? Too soft? You ate for that body. You need to train HARD. You want shape and definition? That comes from muscle, muscle shape and size is created through strength training. That means lifting something heavy enough, repeatedly CHALLENGING the muscle enough to change. Muscle responds to stimulus and has to overcome challenge in order to change. You will not “bulk” up (whatever the crap that means….I already addressed that in this post) but you will get stronger, you will get “tighter” and by that I mean your muscles adapt and as they get stronger, they get more dense, and if your diet is in tune with your goals, you will begin to see definition. As Leigh Peele states so often, if you put a pea on a bed and put a sheet over it, you’d have a hard time seeing it, right? What about a sack of potatoes? You’d see it pretty easily. You HAVE to grow, challenge and develop muscle if you want to see it after you lose the fat. What if you lose a lot of fat and just look like a skinny version of your soft self? That means you need to grow some muscles. Hire a trainer with some sense who can write you an individualized program to help meet your goals and you’ll get there. So to break it down, why do I hate the word “tone”? It implies to women that they will get “bulky” if they lift anything heavier than 5 lbs less than 12-20 times. It keeps women enslaved as cardio bunnies, constantly in a state of disappointment, frustration and a body that won’t change even though they do hours of elliptical work. It’s false advertising that perpetuates myths and is misleading. No, if you train with me, you will gain strength, endurance, you will grow “shape” and maybe a little size, because you know what? When you lose the fat, you have to have SOMETHING to see under it and if you have no size in the first place, you can guarantee you won’t have any to see when you lose fat. A side note, I would NEVER try to make anyone look like how I want to look, or how I only want them to look. If you want to look a certain way, I respect that and I will do all in my power to get you to that ideal. Last weekend, October 7-8, 2011 I spent two days at the NASM Live Workshop and my head is about to explode from knowledge and all the things I’m dying to share with you! To back track a little bit (and so my clients don’t start to look for another trainer) let me clarify by saying no, I don’t really mean that I’ve been doing everything wrong. You see, I have been training for years; I was certified by ISSA 3 years ago and this past year in January I received my NASM-CPT certification, no easy feat. Besides the comps for my master’s in music, easily the hardest and most stressful thing I’ve done. There is simply a TON of knowledge that goes into understanding the material, and the certification is just the basics to get you started! I studied for my exam by reading the book, doing the workbook, watching the videos and listening to the audio, doing the flashcards, practice tests and all that, but not a lot of hands-on. That’s unfortunately because I’m a tactile learner, which simply means that 1)I’m getting started in building my business and since I’m on my own, not part of a gym, that means the building process can take longer (read, not as many clients as quickly) and 2) there’s a lot of information that you can forget. It was really a lot of fun, especially watching the “meatheads” in the room get schooled on how they’re old bodybuilding myths (i.e. anything gotten out of Muscle and Fitness, or Fiction” as they called it) were full of error, not scientifically based and overall….wrong. The emotional teddy bears got snatched out of a lot of people’s hands. There is no need to do full squats (ATG) unless prepping for a sport that requires it. Going that low causes the pelvis to tuck under which takes the lumbar spine out of neutral and therefore puts greater stress on the spine. Plie or sumo squats are also not such a good idea. There is a high increase in abduction, which, coupled with the fact that most people’s knees cave inward already, is a recipe for nastiness. Tempo is SUPER important and if you think you can hold a plank for 3 minutes, you’re doing it wrong. If you haven’t assessed someone first, all you are doing is GUESSING. You can get an EFFECTIVE workout in 9 minutes. Enough with the excuses. What were some of the main things I learned that I will be sharing? I thought I was a form-Nazi…until I went here. Then I realized how wrong my form was. My form is still better than 99% of the people in the gym, but was it optimal? Not until now. I will elaborate later. You need to assess everyone with whom you work with, and this is not optional. If not, you have no idea what compensations they have, what they are capable of, what you need to stretch, what they DON’T need to stretch,etc. Beyond the initial assessments, there should be CONTINUING assessments after each phase is completed. I have actually tried to stay pretty close to this with my clients since learning this, but my eyes were REALLY opened up to how effective it is and how truly difficult the first phases can be. Hypertrophy, max strength and power? No, those are the easy phases. Stability and strength endurance? BEYOND necessary. How necessary? So necessary that I will be scrapping my current program and going straight to Phase I myself, treating myself just like a beginner. This is where my former confusion of form comes in. First off, when I joined the military I did MASSIVE amounts of pushups. They didn’t care how you did them either, as long as you “broke the plane” and went past parallel. One drill sergeant told us to do wide pushups, because since you had a shorter distance to go down, they were easier, so I’ve been doing them that way for at least 8 years. I’ve been reading up a bit on articles since then, and I thought you should keep your shoulder blades depressed and retracted during all movements, including pushups. Well, at this workshop I got schooled. Apparently, I am so jacked up from years of doing them “wide” that even though I could do them on my toes and all, I had a bad case of scapular winging going on and was told that I need to do them on a Smith machine and progress downward until I get my form righ, my core is strong enough and my shoulder blades move correctly (they need to move smoothly outward across my rib cage and back…mine want to just go up). For a long time, my business, Music Strong, had a very sad website, if you ever visited it. That is, until recently. If you go to www.MusicStrong.com and check it out now – things look VERY different. One of the great things about that site is that it allows me to import my blog posts from here onto that site, so you’ll see all the posts that are here, over there. And, since it makes sense to have things in one place, I will gradually be transitioning things more and more to writing my blog posts and posting them at www.MusicStrong.com/blog/. They will be under the different categories of fitness, flute, etc. but I wanted to let you guys know, the ones to subscribe, the ones who find me via Google searches and however else you find me, that all my content is over at the main site. So, check it out, read the posts, leave feedback and I’ll continue to bring you the best information I can. In fact, I have a post up right now over there called “Supplements for General Health” – seems to be a question I get a lot and having worked for 2 years at The Vitamin Shoppe, believe me I heard every question in the book about supplements, so that post should help clear some things up. So come see me on my new site, browse around, read the articles, check out the store, share with your friends and leave me some feedback! I’ll be adding things almost daily as I go along, so check back frequently. Meet Staci: Your New Powerlifting Super Hero | Nerd Fitness. Ladies, this post is foryou, yet another nail in the coffin of the “bulky” women myth. This lady is living proof of eating a lot, lifting heavy and doing sane amounts of activity CAN and WILL get you the body that you want. Read and be inspired. Ladies, PLEASE don’t be afraid to lift heavy! The body you want comes from lifting heavy things, not hours of endless cardio and from eating stuff as close to nature as possible in smaller amounts, not pre-packaged Lean Cuisines. Blogs to Check out: Fit Females! By the way, I’ve gotten a lot of requests from my clients AND my friends about nutritional information. I’ll be posting something about that in the near future, so we on the lookout! And without further ado: Meet Staci! Ladies, meet your new hero. Men, prepare to be humbled. My friend Staci, or Spezzy as she’s known around the Nerd Fitness community, has one of the best transformations I’ve ever seen. She’s also a nerd (check out that Waluigi costume). If you are a female, you will be inspired beyond belief after following Staci’s adventure. If you are a dude, you will be in awe of Staci’s lifting power – I bet she can out lift an overwhelming majority of the male population. If you’re a robot, I’m really freaking impressed that you’re reading my blog. If you’re my mom, thanks for letting me borrow your car to go to the Nerd Fitness meet up tonight in Boston. Working a sedentary desk job, Staci slowly packed on weight and ate like a typical unhealthy American. Before getting educated, she tried to get in shape by doing what 95% of the female population does when they try to lose weight: she ran a lot and essentially starved herself – Not surprisingly, she dropped to an incredibly low and unhealthy weight. She educated herself, cleaned up her diet, and immediately started feeling and living better. She found the Nerd Fitness community, discovered a love for barbell strength training, and started lifting HEAVY weights. She’s now in the best shape of her life, healthier and happier than ever before. For the women out there who are scared about “getting too bulky when lifting weights,” this article is for you. If you’re curious what happens to a girl who packs on twenty pounds of muscle and starts lifting heavy weights, you’ll find your answer here…I have no doubt it will surprise the hell out of you. This is a picture of Staci back in 2009 before she decided to make some changes in her life. As I said previously, Staci works a typical American desk job where she spends all day in front of a computer screen. Starting around age 16, she started to put on weight relatively steadily through high school and college and after, when she reached her peak at 170 pounds in 2009 at the age of 25. “Growing up I was never comfortable in my own skin. Never. I was always the weird one. I mean, I raised rabbits for a hobby! RABBITS. The only after school activity I did was band, and never participated in any sports. I always thought I was fat. I always hated my legs, and would refuse to wear shorts in the summer because I was so uncomfortable with them. If we went to the beach, I’d wear shorts over my bathing suit bottom. “I’d get up at like 9, go to work, have a Slim Fast shake because I never had time for breakfast. I wasn’t a big snacker but I ate a lot for my meals – I’d typically go out to eat for lunch every day and get a sub or something from D’angelos or Subway – and it was never the 6″ one, it was the big one. And chips. Lots of chips. Or french fries. Getting home I’d either go out to eat with friends or plop in front of the tv playing video games for hours. I’m sure this is a daily scenario that you can relate to: too tired in the morning to eat a healthy breakfast, lots of unhealthy meals, general apathy towards what you’re eating and when, and no real direction. She went to the doctor, who told her that she had high cholesterol and needed to lose some weight if she wanted to live a long healthy life. Except that she wasn’t really sure how to lose weight and get in shape. And she certainly didn’t want to get bulky by lifting weights (gasp! ), so she did what most women do when they want to lose weight: eat way less and run way more. I always thought that being super skinny would make me happy, like it was the one missing piece of my life. I bought countless exercise machines for my apartments, which all ended up sitting in the corner gathering dust. I bought DDR thinking that if I could exercise in a video game, that would do it. But it didn’t. I even tried “Sweatin to the Oldies” (which, for the record, everyone should do, because it at least gets you laughing and moving). But nothing stuck. Until I was finally ready. I can’t say what it was, but I just got up one day and said “ok, I’m going to do this now”. I can’t tell you what it was – I didn’t set a date ahead of time, I just woke up knowing it was time. I went on weight watchers, I started running. But as I started to feel the effects of the weight loss, I got obsessed. I’d weigh myself every day, I got a scale that measured every ounce so I’d know what I lost. “I did lose the 50lbs that I needed to lose, but instead of ‘finding myself’ and becoming comfortable in my own skin, I ended up being LESS comfortable. Everything I did was based on appearance. I couldn’t do certain things because I was afraid I’d gain an OUNCE back. It got to the point where a friend of mine would IM me all the time with just “EAT SOMETHING”. I was tired all the time, I had no energy to do anything even when I was sleeping like 10 hours a night. the bags under my eyes were insane – I simply wasn’t getting the nutrients i needed. It was at this point that I dated a bodybuilder for like, three weeks (hey, we all make mistakes, right?). He informed me I was doing it all wrong (but didn’t tell me what to do right, just said “youre doing it wrong). That made me start researching nutrition and strength workouts because I was so incredibly unhealthy, tired, and weak all the time. I got a set of 5lb dumbbells and a Jillian Michaels DVD and tried doing pushups. I remember struggling doing chest presses with the 5lb dumbbells. I was so weak. And I wouldn’t use weights at the gym because I was so scared of all of the boys on the weight floor. SO SCARED. This is Staci at 117 lbs. on the left (doing her best “deer in the headlights” impression), and 131 lbs. on the right. It was right around this time on her search for Paleo diet information that she stumbled across Nerd Fitness and saw my latest article about the Legend of Zelda (her favorite video game series too). She joined our community, signed up for one of the monthly challenges, continued to put her focus on strength training, and made sure she ate enough to fuel her workouts. And then things got interesting. After tons of encouragement from members of the Nerd Fitness community (thanks Dantes! ), she began a torrid love affair in October that most women would scoff at. Beginning in October 2010, Staci jumped headfirst into the world of power lifting. Over the following six months, she strength trained like her life depended on it, keeping track of her gains and making sure she ate enough to continue getting stronger. I honestly cannot tell you how refreshing it is to hear that from a woman! She packed on another ten pounds of muscle and got incredibly strong. Seriously, how many 5’4″ females who weigh 140 pounds do you know that can deadlift 315 pounds? Over those six months, Staci put on ANOTHER 10 pounds of muscle while strength training like a World’s Strongest Man contestant and eating A TON of food to make sure she could continue to get stronger. She raised her deadlift from 135 pounds to 315 pounds, added 50 pounds to her overhead press and 50 pounds to her bench press. You’re probably wondering what happens to a woman’s figure when she goes through this transformation. Believe it or not, she’s 11 pounds HEAVIER (142 pounds) in the picture on the right (May 2011) compared to the picture on the left (131 pounds, October 2010). So what the hell happened? How the heck does she look like she weighs less even though she weighs more? She packed on the right kind of weight while getting rid of the wrong kind. When you strength train with very heavy weights for low numbers of repetitions, you build incredibly DENSE, tight muscle. It’s funny, but if you really want that toned look in your legs, stomach, and arms – picking up small weights and doing lots of repetitions isn’t doing anything – it’s really heavy weights with low repetition that will sculpt the body you’re after. On top of super heavy strength training, Staci had to eat between 3000-4000 calories per day (all healthy calories, mind you) to put on the extra weight. Had she not overloaded her system with calories, she wouldn’t have gained an ounce. “The thing that I really gained the most in all of this is that I’m now comfortable with who I am. I’m comfortable in my skin, I’m not nearly as shy and awkward as I used to be, I’m not afraid to try new things. I stand up for myself. I learned about failure and success, and I’m not afraid to try something (and fail) over and over again even if people are watching. My attitude for life pretty much just changed. I still remember the day I looked at my legs and said “you know what, these are the legs that help me deadlift, so who cares what they look like. Every Sunday (or whatever works, but usually its Sunday) I cook a few pounds of boneless skinless chicken breast. I then portion it out into 3oz portions and keep them in ziploc bags. If I don’t have time for that, you can get all natural precooked sausage (both chicken and pork) that works just as well as a “bring to work” meat. 5AM: pre-workout: (first thing in the morning) – protein shake. ( nothing special). Its not paleo, and i love every sip of it. Then I go and work out. If I go to the gym with a full stomach, I will not leave with a full stomach. 7:30AM: on my way to work: apple or pear. 9:30AM: sweet potato with cinnamon. I keep them at work, and cut them up, throw it in the microwave for 5 minutes with cinnamon. Comes out amazing. Another protein shake somewhere in here between breakfast and lunch. 11:45AM-12PM: lunch: two of the bags of chicken I precooked and a bag of the steamfresh vegetables. The entire bag, its like 3.5 servings of vegetables. My favorite is broccoli, cauliflower, and carrots. Lunch option 2: spinach salad with shrimp, red peppers, green peppers, red onion, lemon juice. 2-3 snacks in the afternoon. Could be one of these: Apple with almond butter, bell pepper (I eat them like apples… I’m weird), carrots (they even make carrots cut like chips), bags of chicken (yes, those 3oz bags of chicken I consider a snack as well, not just a meal), a zucchini (yes, plain, raw, uncooked), celery with almond butter and raisins, strawberries, frozen mixed berries. Every once in a while i make something awesome, like this: http://cfscceat.blogspot.com/2011/03/apple-and-onion-stuffed-pork-chops.html (but really, that takes a lot of time). When i DO make something like that, i make it in mass bulk and will eat it for the week. In the winter, I’ll usually make a beef stew on Sundays that I can eat for a lunch or two as well. Seems like an absurd amount of food right? That’s because it IS an absurd amount of food. This is what Staci does, day in, day out in order to gain weight so that she can lift heavier weights. Yeah, I’d say that’s a pretty solid transition, how about you? She educated herself. When Staci started her weight loss journey, she didn’t really know any better and didn’t know where to turn…so she did what she thought was right: she starved herself and spent hours and hours on treadmills and elliptical machines. After that, she started doing her research and learned how to eat properly. She did the research on strength training and started learning how to get stronger. She focused on strength, not her weight. We know that “appearance is a consequence of fitness.” Rather than worry about her weight and how it fluctuated on a daily basis, Staci focused on getting stronger. She tailored her meal plan (which is quite extensive) around her getting stronger. She understood that it is ALMOST F***ING IMPOSSIBLE FOR WOMEN TO GET TOO BULKY FROM LIFTING WEIGHTS. Unless you are eating 5,000 calories a day, doing a workout program specifically designed to pack on lots of big muscle, and taking performance enhancing drugs, you will not get bulky. If you strength train while eating a normal amount of calories, you will lose the fat on top of your muscle, and leave behind the muscle you already have – giving you that toned look. Make the mistake of just eating less and running more, you’ll burn through both fat and any muscle you have as you lose weight. She had a community of support. Staci jumped headfirst into the Nerd Fitness community, asking questions about strength training, participating in our monthly challenges, and asking for support in her quest to live a healthier life. She now also has a community of Crossfit folks at her gym that help support and push her to be stronger and faster. She knows that she has 2,000+ people on our message boards who encourage and support her every single day she’s in that gym. She tracked her workouts. You can go back through Staci’s old posts on the message boards and see exactly how much she was lifting and how she was training over the past year. On weeks where she didn’t see enough success in the gym, she adjusted her diet. On weeks when she didn’t feel as healthy, she could figure out what needed fixing and how to fix it. As long as the amount of weight on the ends of the bar kept going up, she knew she was progressing in the right direction. I love Staci’s story because she tried different methods, educated herself, and learned how to get healthy the right way. She focused on getting stronger and eating healthier, and as a result her appearance followed suit. She doesn’t bother stepping on a scale anymore, and she doesn’t count calories. She eats when she’s hungry, she eats to get stronger, and as a result she’s healthier and happier than she’s ever been in the past. She is now full of confidence and feels comfortable in her own skin, something that she’s never had in the past. They cleaned up their diet, focusing on real foods and less crap. They focused on strength training and getting stronger rather than agonizing over what the scale said. They tracked their results to make sure they were properly progressing. They had a community of people for support and help. Leave a comment or question and she’ll answer it! She’s nice like that. Now if you’ll excuse me, I’m gonna go work out! Where are the music posts? I know I know, I’ve been pumping out a lot of fitness articles, most seemingly having little to do with the flute or music world. For those of you musicians missing the musical side of things, I apologize, but just like it pays to listen in rehearsal with the conductor talks to another section and rehearses them (instead of tuning out) you just might learn something beneficial to your own musician-focused workouts if you pay attention to the seemingly “meat-head” articles. I confess I’m a little obsessed with the weight loss aspect of things, because I myself am losing weight and want to share the knowledge with people. I’m not just a musician and I’m not just a personal trainer, I feel like I have a voice and I want to use it as best I can to bust apart the myths and bring the truth to whomever happens across the blog. Musicians, do you need to know how to squat? Absolutely! Any Alexander Teacher will go on and on about babies’ perfect posture when squatting. While my squat post seemed to have little to do with musicians, if you can control your body under a bar with heavy weight, not only will you be strong, but you can make your Alexander Teacher proud by having a correct Use of Self while performing the lift! What about The Secrets of Being Lean? What if you aren’t losing weight? What if you want to gain, or think it flat out doesn’t apply to you. Oh, but it does! Did you read it? Take away the “weight loss” or “lean” part of the equation and insert a musical term like “practicing”. How many of your non-musician friends understand the joy you get from locking yourself in a practice room for hours? You have to put up with ridicule and stares just like people who are fitness minded get when they insist on healthier food at restaurants. Oh yes, there is crossover. I am doing a bit of studying as well and since I do not want to just bring you anecdotal stories and theories about how weight training can help musicians be stronger and play longer pain free, or how stretches help and which ones are best to use before playing, I want to get my facts right and bring you the studies that back up my findings. There is enough anecdotal nonsense and bro-science in the world, I don’t want to add to it. So, please bear with me as I seek to bring you more meaningful and evidence-based “strength training for musicians” related-material. It is coming, I assure you. In the meantime, take these articles that are already up and the ones forthcoming and apply them to life outside the weight room. You just might surprise yoruself at the take-away.